The major fashion publication highlights her style and IG game. 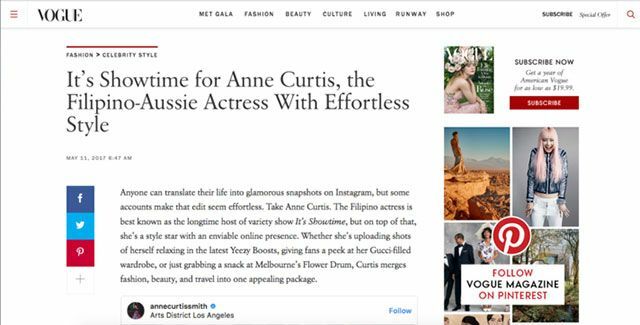 Vogue.com is one of the websites we regularly check for our fashion fix, so imagine our delight when we visited the page this morning—only to be met with Anne Curtis’ gorgeous face! 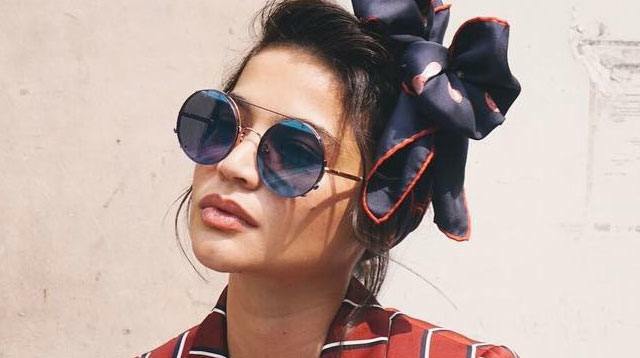 In a piece entitled “It’s Showtime for Anne Curtis, the Filipino-Aussie Actress With Effortless Style,” senior fashion writer Janelle Okwodu lists down Anne’s many merits, from her start as a child actress to her meteoric rise to fame as Imang/Fatima in Kampanerang Kuba.